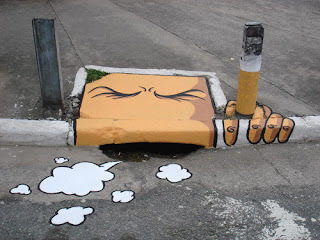 We found this amazing article about street art and it inspired us to do some research into creative street art. There are some amazing, innovative ideas out there and these are some of our favorites. 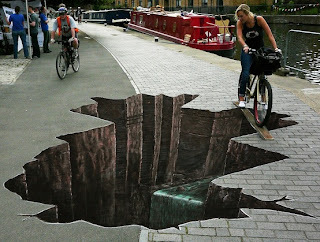 This is a great example of extremely realistic perspective street art! 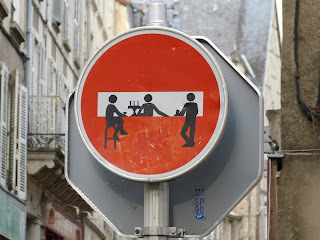 A creative way to make a boring stop sign fun. 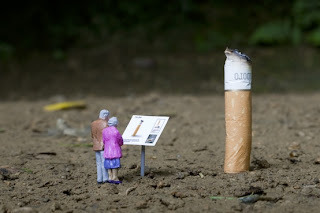 A miniature exhibition - awesome idea. 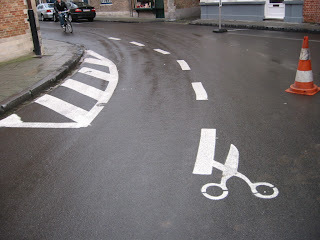 This is amazingly innovative - we would defiantly have to look twice. 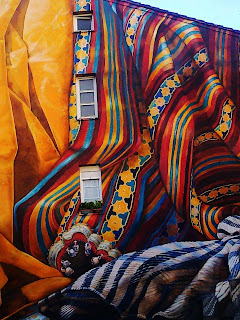 Excellent use of perspective art - this building actually looks crumpled! A fun way to make the everyday extraordinary! so colourful, so bright and sooo funny & creative! 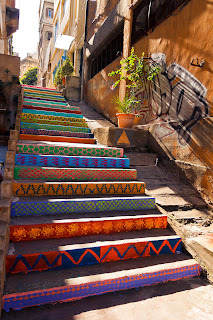 every dull city needs some colours!